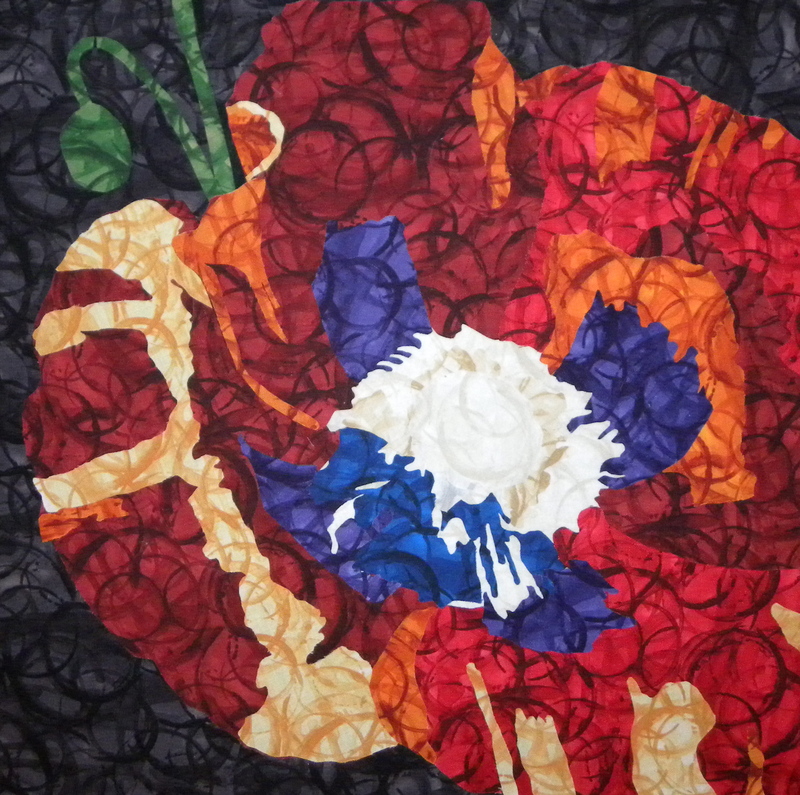 Here is my latest project, the poppy. I worked most of the weekend cutting out the pieces to be fused. I still have a few other pieces to add to the petals but that should be easy to do. Last night I took a break from the piece. I hope to start thread painting later this week.